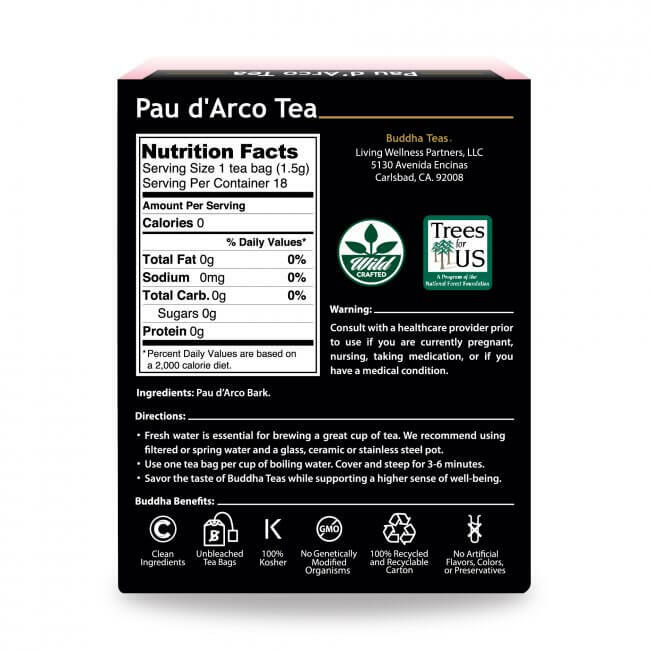 Pau d'Arco Tea, a powerful bark tea, whose ancient South American origins have spread far and wide, is enjoyed today across the globe for its smooth, unique flavor, and remarkable benefits. Also known as Lapacho, or Taheebo, Pau d’Arco is a remarkable herb processed from the bark of a large, flowering tree native to the Amazon Rainforest. Though its medicinal benefits were first sought by rainforest tribes thousands of years ago, today’s practitioners incorporate Pau d’Arco to help heal a variety of physical ailments. What Exactly is Pau d'Arco? 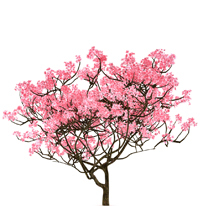 The Pau d’Arco, or Taheebo tree grows up to 150’ tall, and boasts gorgeous pink-purple flowers that bloom above its extremely hardwood trunk. The medicinal part of the tree is scraped from the bark, and consumed most often in teas. 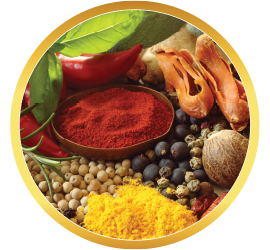 Successful treatments have been documented for a variety conditions, including arthritis, yeast infections, skin issues, infections, gut discomfort, fever, and even malaria. 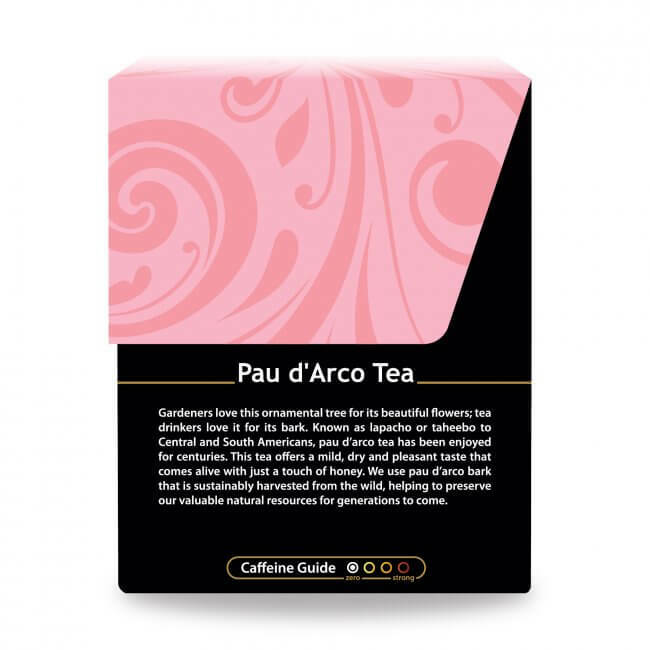 What Does Pau d'Arco Tea Taste Like? 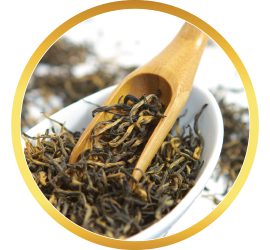 This widely consumed, earthy tea boasts an incredibly smooth, somewhat sweet flavor. You may notice a bit of residue at the bottom of your cup, but this is normal, and only serves to strengthen the taste and benefits. If desired, you can add a slice of lemon or lime to enhance the flavor, and offer added nutrients. Buddha Teas Pau d’Arco Tea needs a good boil and a somewhat long steep, about 4-8 minutes. 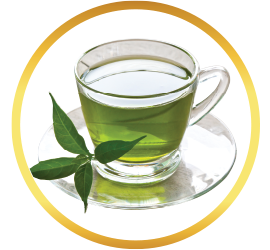 Enjoy hot or cold, in order to fortify and cleanse your body day and night. Pau d’Arco Tea can be difficult to find for sale in local grocery stores. This is why many people turn to online sources when they are looking to purchase Pau d’Arco Tea. 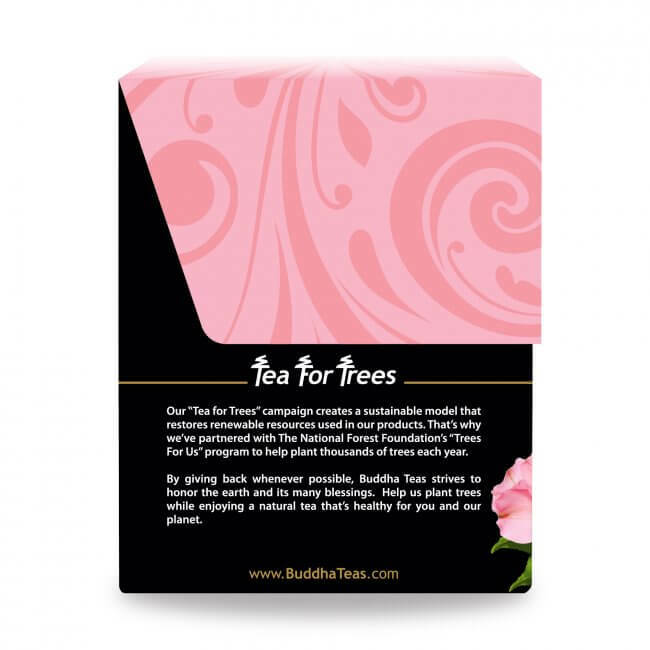 Buddha Teas offers Pau d’Arco Tea made from the bark of the Pau d’Arco tree, which has been sustainably harvested straight from its native forests in South America. 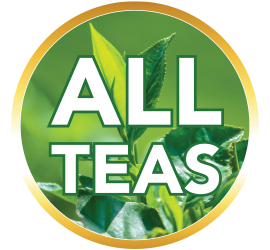 Our Pau d’Arco Tea is packaged in bleach-free teabags, and includes no additives, fillers, or unwanted chemicals of any kind. 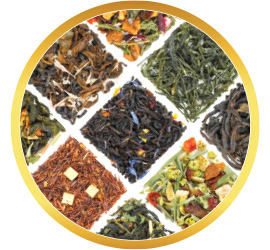 If you’re looking for a premium tea to add to your pantry, purchase Pau d’Arco Tea in bulk so that you can drink this tea regularly. Bulk purchases also receive discounted prices, saving you money in the long run. We also offer free shipping to all orders of $50 or more, as well as coupon codes to save you even more! Review Title: I like it! 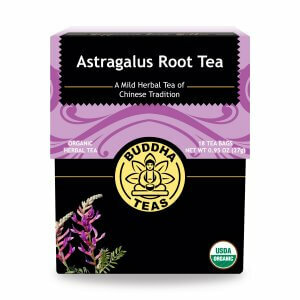 This tea has helped with my stomach bloating. I am now gonna start back on it to see if it lowers my cholesterol. Stay tuned! Always enjoy the tea. Nice on cold evenings. I buy this tea for my grandmother, which she loves. However, I was very disappointed that bags ripped open when steeping. Customer service was VERY accommodating & sent out replacements. 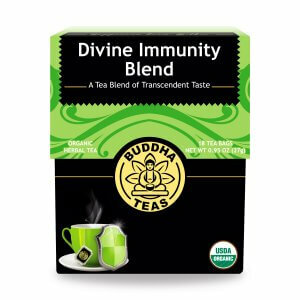 I am new to Buddha Teas, & have bought several other varieties. T time. 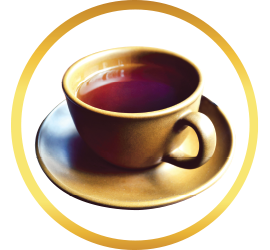 This tea is very pleasant tasting.It was very relaxing too.Love it! I was hesitant about this tea, but when I received it was great. I am really enjoying it ! 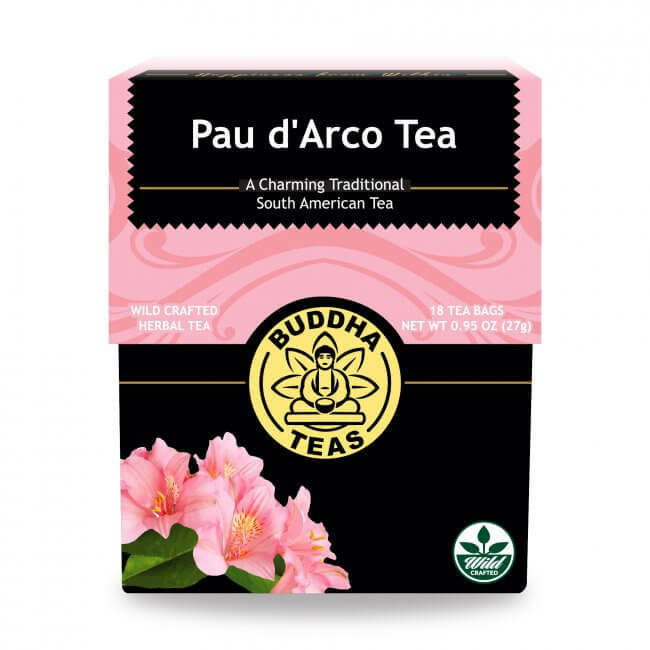 Pau d’Arco is my new favorite “friend!” After embarking on a sudden cleanse as a result of an yeast overgrowth of Candida Albicans, a bodyworker friend suggested eliminating all sugar, wheat and dairy from my diet and starting a cleanse including 3 cups of Pau d’Arco tea daily. 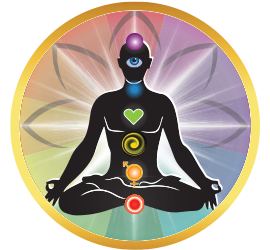 Her suggestions all helped tremendously and my body is now more balanced than ever. AND, I felt so supported by my three cups of gentle but Powerful cleansing Pau d’Arco every day. I have eased off the strict protocol I was on for three months, but Buddha Teas Pau d’Arco is now a permanent staple tea in my cupboard! 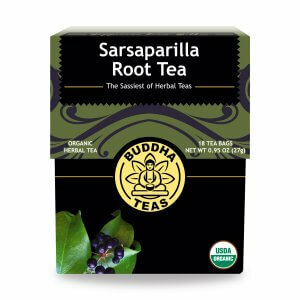 I have been taking this tea each night for about 3 weeks and it is AWESOME!! I was having problems sleeping at night. I would wake about between 3-5 times a night and constantly tossing and turning to get more comfortable. 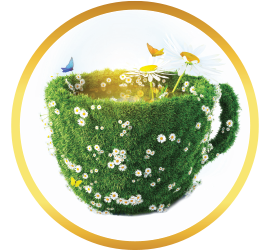 NOW, I take the tea before I go to bed and I sleep through the night and if I wake up, it is after about 7 hours of restful sleep. THANK YOU!! Thank you for your WONDERFUL product!!! 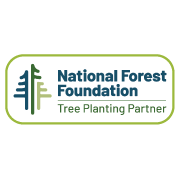 I LOVE IT AND WOULD REFER AND HAVE REFERRED THIS PRODUCT TO MY FRIENDS AND FAMILY MEMBERS!!! Review Title: Sleeping sooo much better! This tea obviously has a lot of benefits to it. My wife is highly anemic with a possible yeast concentration and wakes up quite a lot each night. I read that it helps the blood. I will testify here and now that it absolutely does! She wakes once a night and as a result is so much more rested in the morning. Because of that she's considerably a happier more energetic lady. I say thank you sincerely here but the real thanks is that we'll be long term customers now. Now I must look into what other teas you have.